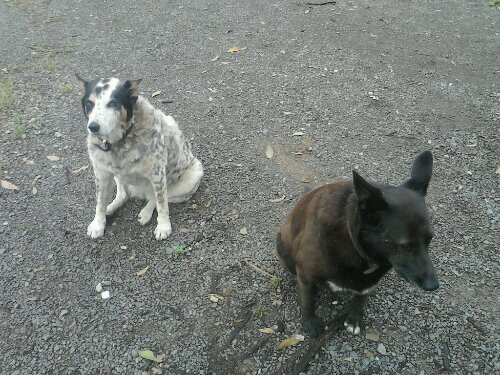 These two lovely dogs are really georgeous and i had two great days with them at the Fosterton Farm in Dungog, New South Wales, Australia. If you pat one the other one tries to get some of your attention too by pushing the other one away. And then they won’t leave you. I know a similar dog called Leila in Germany. She would have had fun with these two. Pepper is the one with the black dots and Scout the darker one. And they love eating their bones in the evening and get a lovely meaty desert. Thank you Loo and Simon for these unforgettable moments. Dieser Eintrag wurde veröffentlicht in Down Under und verschlagwortet mit Australia, Dogs, Dungog, Fosterton Farm . Lesezeichen auf den Permanentlink.